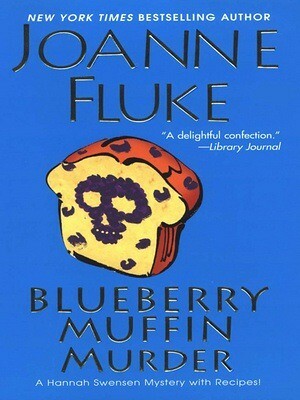 I started reading this series a few days ago and have read the first three books of the series. I love mysteries with a strong female role. I wouldn’t rate this as one of my favorites, but they were enjoyable and quick reads. I haven’t got the fourth book yet. Have any of you out there gotten past the third? Is it worth it for me to read on? Hannah Swensen already has her hands full, between dodging her mother’s attempts to marry her off, and running Lake Eden, Minnesota’s most popular bakery, The Cookie Jar. But when the Cozy Cow Dairy’s beloved deliveryman is found murdered behind Hannah’s bakery with her famous Chocolate Chip Crunchies scattered around him, Hannah sets out to track down a killer. The more Hannah snoops, the more suspects turn up. This is one murder that’s starting to leave a very bad taste in Hannah’s mouth, and if she doesn’t watch her back, her sweet life may get burned to a crisp. When the president of Hartland Flour chooses cozy Lake Eden, Minnesota, as the spot for their first annual Dessert Bake-Off, Hannah is thrilled to serve as the head judge. 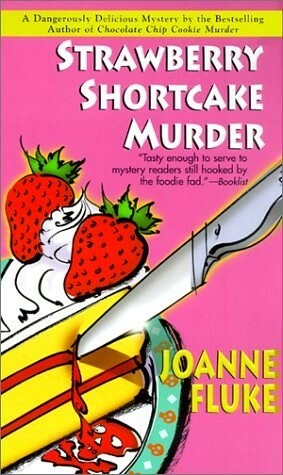 But when a fellow judge, Coach Boyd Watson, is found stone-cold dead, facedown in Hannah’s celebrated strawberry shortcake, Lake Eden’s sweet ride to fame turns very sour indeed. Between perfecting her Cheddar Cheese Apple Pie and Chocolate Crunchies, Hannah’s snooping into the coach’s private life and not coming up short on suspects. And could Watson’s harsh criticism during the judging have given one of the contestants a license to kill? The stakes are rising faster than dough, and Hannah will have to be very careful, because somebody is cooking up a recipe for murder]with Hannah landing on the necessary ingredients list. 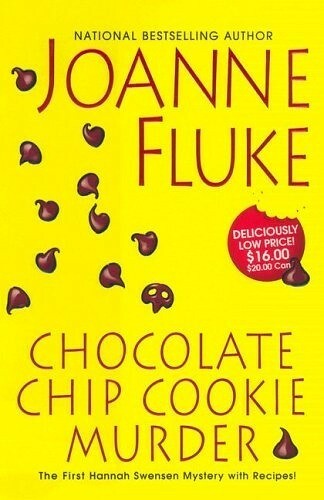 Hannah Swenson’s cookie store is thriving until a famous cooking-show hostess is murdered on the premises–and Hannah’s right-hand baker is the chief suspect. Knowing she needs to clear her friend’s name, Hannah plunges into the case–and narrowly escapes danger herself, not once but repeatedly.